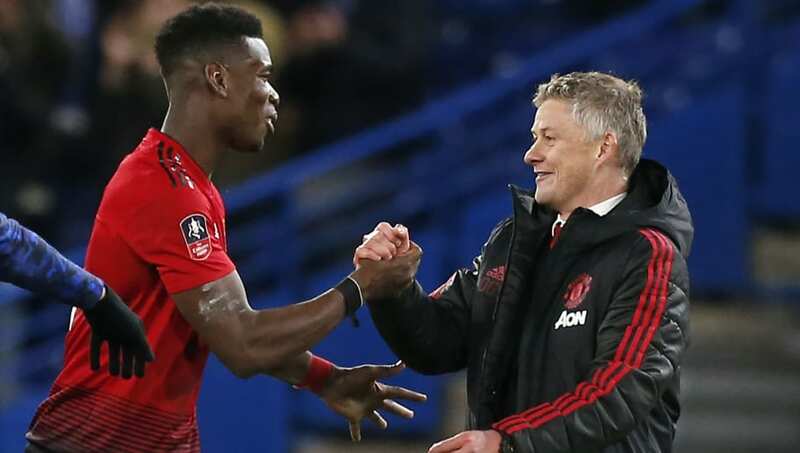 Manchester United manager ​Ole Gunnar Solskjaer has defended Paul Pogba's recent for, amid continued links with a summer move to Real Madrid. Sokskjaer. however, has moved to defend his star midfielder and insisted that the rumours have not turned ​Pogba's head. As quoted by the ​Mirror, the ​United boss said: "There might be a campaign [from ​Madrid], you never know what there is. "He has made a difference for us in a few games, but so has Romelu [​Lukaku], so has Marcus [​Rashford]. There have been different players in different periods that have made the difference. It's not just about one player. It's not just about Paul. "He had his highest ever output physically on Wednesday night against ​Barcelona, he'd never ran as much in a United shirt. That was brilliant. Pogba's future is likely to loom large over Solskjaer and United throughout the summer, as will the task of closing the gap to rivals ​Manchester City and ​Liverpool at the top of the Premier League table next season.